Cathleen Swift, ASID is a Licensed Interior Designer and Principal of Cathleen B. Swift Design, LLC. With 30 + years of curating experience in luxury residential design and the interior design industry she has an extensive knowledge of serving her client's home design needs. Exclusive and premier presentations are based on an individual basis. Projects begin with a private consultation in which the scope of the project is discussed. Cathleen works with architects, builders, and her tradespeople to complete the project. She works individually with her clients so that she understands the wants and all needs of her clients to deliver beautiful results. Establishing successful relationships with the client provides a level of trust that ensures exclusive, creative, inspired design selections and client satisfaction. We will exceed your expectations with our selection of services to provide an exceptional process during each phase of your project. Visit Our Showroom in Estero Today! Internationally-recognized award winning modern residential architecture & design. Having founded a globally recognized London practice which was named one of the 13 Top Emerging Architectural Practices in UK by Architectural Review - April 2002, Owens returned to the United States to share a modern, creative and functional approach to design. Architecture Joyce Owens LLC is dedicated to cutting edge, environmentally sound solutions, providing creative and functional homes that are sympathetic to their site and climate and most importantly, the needs and budget of the client. We are a dedicated team of Design Professionals who are passionate about creating fresh new interior concepts for our client's homes. It's your vision, it's your style, it's your home -at Freestyle Interiors we never lose sight of what and whom we're working for. Our clients' needs drive our pursuit of excellence. From texture and style to function and form, we are continually honing our skills, seeking out distinctive resources and adding value to each project. Customer service in general may be going the way of the rotary dial phone and snail mail, but not at Freestyle Interiors. Our clients are an integral part of the design process -we keep them informed and involved. We pay attention to the small details, we offer guidance and counsel. We're on site regularly to ensure quality workmanship and execution of the design concept as conceived. Organization, attention to detail, outstanding execution - add these qualities to our design skills and depth of experience and the result is a superior level of client satisfaction. Just ask our multitude of happy clients. Little Palm Design Group is a complete interior design studio and boutique style retail showroom. Local artist and seasoned professionals complete the shop.Specializing in luxury residential design, principal designer, Dawn Harmon, a native Floridian, understands and appreciated the charisma and charm of the Naples idyllic area. Since 1986 Dawn has enjoyed the love of design and helping people find the expression that communicates their personality into their living space. For over two decades Dawn has designed interiors for residences in Naples and beyond. As a native Floridian, she understands and appreciates the charisma and charm of the Naples idyllic area. The love of design and helping people find the expression that communicates their personality into their living space has enabled Dawn to flourish in the design world. Drawing upon many disciplines, Dawn combines the use of colors, textures, furniture and lighting to create each residence unique to each client. Graduating from the University of Florida, Dawn has received numerous awards and her work has appeared in several prestigious publications and trade journals. She and her staff have completed a vast number of residential and commercial projects, including over one hundred model homes. Each of her projects begin with research based upon the client's vision, which she uses to bring inspiration to design. Dawn has built a successful practice by providing outstanding service and exceptional creativity for her clients. Call Dawn today and get started! FINE FURNISHINGS ~ INTERIOR DESIGN SERVICES ~ PROJECT GUIDANCE We provide comprehensive design solutions for homeowners as well as Model/Spec Merchandising for residential builders, remodelers and community/condo developers. We also provide interior design services, project guidance and supervision for commercial and hospitality projects, and senior living facilities. With an award winning design team of nearly 40 design professionals in 4 showrooms across Southwest Florida....please allow our team to manage your next design project! The Norris name has served Southwest Florida since 1983! We have partnered with over 300 of the finest names in the furniture industry. With new shipments of unique accessories and heirloom rugs arriving weekly, combined with our team of award winning interior design professionals; we are able to offer our customers the finest quality home furnishings at outstanding prices. We offer complimentary design service as our gift to you. White glove, red carpet delivery service and an outstanding staff of professionals who take pride in a job well done is our trademark. The interior design team at Dwayne Bergmann Interiors absorbs our surroundings, viewing, analyzing and getting lost in the creative ideas and possibilities of the space. These observations enable us to create unique new spaces, and breathe new life into outdated ones. “The more you connect with the space and your visual surroundings, the more it emulates you,” says Bergmann. 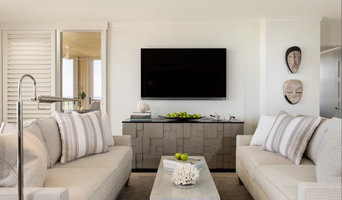 “We are dedicated to finding the colors, textures, accessories and artwork that capture each client’s individuality, whether it’s mid-century modern, southern traditional, French or Italian renaissance or a beautiful melting pot of inspiration and medium.” We understand that your visual surroundings – your home, your environment – must be stimulating, stirred by motivation, emotion and enjoyment. We accept both residential and commercial projects, and initial consultations are complimentary. Call or message us and let's start the conversation! Stonebreaker is a builder and remodeler serving Naples and Marco Island, Florida. We're passionate about creating beautiful homes and spaces that reflect our clients lifestyle. Our team of professionals work with clients from concept to completion providing everything in-house from architecture and kitchen design to custom carpentry and interior design. Whether you're building a new home or planning a remodeling project, Stonebreaker will exceed your expectations and deliver on time and on budget. Are you planning a kitchen remodel? Are you looking for cabinetry? Visit our kitchen and bath custom cabinetry showroom on Marco Island for ideas and inspiration. We are located at 937 Collier Blvd. Lee County & Naples Client-Focused Interior Design | 3x Best of Houzz! Certified Kitchen Designer • Bath Designer • Other Rm Specialist • Space Planner • Award Winning • Published • Blogger With 30+ years of experience in the residential kitchen and bath remodeling industry, I have a reputation for visualizing and turning existing, as well as new spaces into something innovative and exciting. From conception through completion, I always have my client’s needs and budget at the forefront of my designs. My attention to detail allows me to create beautiful, as well as functional kitchens, baths and additions on time and on budget. Throughout my career, I have enjoyed the challenges of residential remodeling and look forward to creating custom dream spaces for all of my clients. My expertise has brought me many accolades including having my designs published in many regional and national magazines including Signature Kitchen and Bath and Trends. I have been honored by the National Kitchen and Bath Association as the recipient of eight Design Vision Awards, the NKBA’s annual award for excellence in design. Most recently, I was given an award for Best Design and Best Customer Service of 2016 by Houzz community. I bring passion and enthusiasm to my work and it shows. Phoenix Design and consulting, will help with staging occupied and unoccupied homes, interior design, and construction consulting. The pillars of our business are “Simplicity,” “Efficiency” “Effectiveness” and “Client Service.” Additional services include, assisting and managing moving companies, floor plan options, working with real estate brokers, architects, general contractors, sub-contractors, and suppliers. Phoenix Design & Consulting services Naples, Marco Island, Bonita Springs, Ft Myers, Sanibel Island and Captiva. Organizing methodology became a part of my interior design process as I was building houses; implementing into my construction plans the appropriate rooms, details, and space so the home could run more harmoniously. This was a huge success and only deepened my desire to learn more about professional organizing and helping others achieve what I was experiencing in my own life. My method begins with a hands-on assessment of client needs. From there, through collaboration with the client, a detailed plan of action is developed. The goal is simplicity and efficiency. I will work hand-in-hand with you to ensure that the project meets or exceeds expectations. I do my utmost to limit your stress levels during these projects. Established in 1989, Progressive Design Build is a premier design/build remodeling firm in Southwest Florida proudly serving Lee and Collier County residents with the highest standards in customer service. Our gold standard of excellence is defined by a unique company culture and core values upheld by our founder and president, Mike Spreckelmeier. Also a recipient of several local, regional, and national awards, Progressive Design Build’s expert team of craftsmen is handpicked from the area’s best artisans; each one committed to helping homeowners remodel their living space for a lifetime of enjoyment. They personally lead each project with care, professionalism and a commitment to excellence—going above and beyond to protect their clients’ best interests and counsel them through a smooth home remodeling process. That’s why many Progressive Design Build clients will even leave town, trusting their entire remodeling project to their reliable, capable hands. 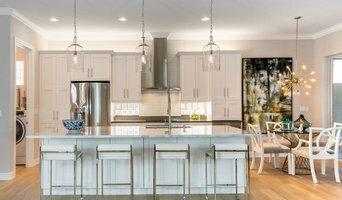 Headquartered in Bonita Springs, Florida Progressive Design Build specializes in whole house remodels, exterior renovations, room additions, kitchen and bathroom remodels, and outdoor kitchens or outdoor living spaces. For more information on Progressive Design Build or to receive a free consultation, call 239-939-5411 or visit online at <a rel="nofollow" target="_blank" href="http://www.progressivedesignbuild.com">http://www.progressivedesignbuild.com</a>. Laura Miller, Inc. Interior Design provides full-service interior design, comprehensive interior detailing and space planning, and remodeling design. An alumna of the School of Interior Design at Auburn University’s Department of Architecture, Laura Miller is an interior designer with a highly adaptable sense of style and a broad creative range. Her work in any given arena conveys refined simplicity with thoughtful attention to detail. Laura’s tailored approach seeks a balance that is both delightful to the senses and practical for daily living. In her 20 years working in Southern California, Colorado and Florida, she has cultivated a remarkable understanding of materials, proportion, light and color. 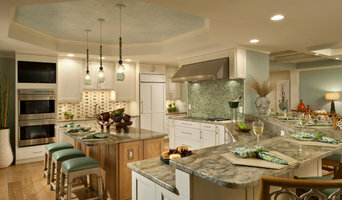 Marco Island's Trusted Interior Designer - 2x Best of Houzz Winner! At Clive Daniel Home, we have created a store that is exceptional in every way! And an experience like no other: Sofas and a Wine Bar. Mattresses and Jewelry. Gourmet Kitchens and Landscape Architecture. Luxury Linens and Concierge Services. Home Theater and Home Automation. A Lighting Gallery. A Floor Covering Gallery. A Custom Upholstery Studio – and the list goes on and on! Our interior design experts can assist you in making your vision a reality. Our friendly team is completely dedicated to providing you the best of everything for your home! We go beyond white glove delivery service with Concierge Services that will offer you options to re-upholster or re-finish your items – and we will even flip your mattresses! From fabulous furniture to unique accessories, wonderful wines to trend-setting style, there is no better place for everything for your home than Clive Daniel Home!